Kerala-headquartered consumer durables manufacturer V-Guard Industries Ltd is betting on internet of things (IoT) to boost its long-term prospects, a top company executive was quoted as saying by Bloomberg. “IoT is the next big step for our company as smartphone users are expected to rise every passing day and more people are becoming tech-savvy,” V-Guard managing director Mithun Chittilappilly was quoted as saying. V-Guard, which is listed on the National Stock Exchange (NSE), manufactures voltage stabilisers, pumps & motors, electric water heaters, solar water heaters, cables, UPSs and ceiling fans. Chittilappilly said the firm already makes smart water heaters and may soon start selling smart fans as well. According to the report, V-Guard expects its sales to increase by 12% in the current financial year, which means it would miss its target of 15% annual growth till 2021-22. However, Chittilappilly said the company is betting on smart products being one of its fastest-growing categories. He told Bloomberg that smart products will account for 10% of total sales for the company within seven years, a significant jump from the 2% share at present. Chittilappilly also said that the rise in sales will also boost revenues as smart products are priced higher. But V-Guard’s IoT journey might be bumpy, with analysts suggesting that rising copper prices may throw a spanner in the works. “IoT is still in a nascent stage and it really needs to be seen how things pan out on that front,” he said. V-Guard was founded more than three decades ago and started out making stabilisers used for balancing electrical voltage fluctuations before diversifying into making other appliances. It was one of the first IPOs to go through soon after the market crash in January 2008 at a time when various issues were postponed or had to be rolled back for lack of investor interest. 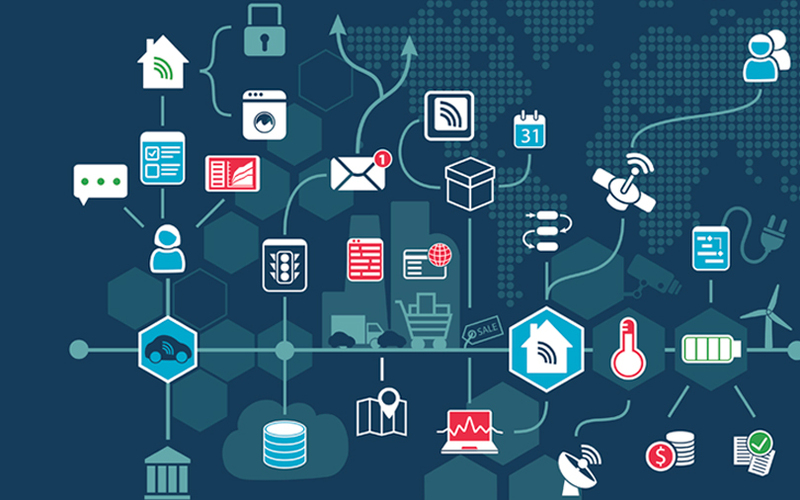 The IoT ecosystem in India has been attracting attention from investors of late. Last week, Mumbai-based Faclon Labs Pvt. Ltd, a startup engaged in smart water management, raised an undisclosed amount in a seed round to fund its product development and commercialisation efforts. Goa-based TempoGO, which provides Internet of Things (IoT) and software-as-a-service (SaaS) solutions for the transportation industry, raised $250,000 (about Rs 1.6 crore) from Javelin Startup-O Victory Fund last November.